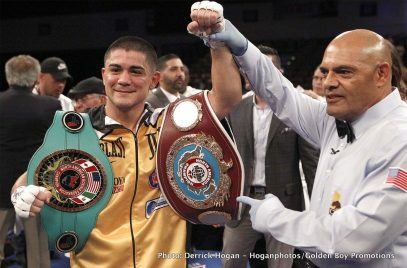 NABF and NABO Featherweight Champion Joseph “JoJo” Diaz, Jr. (25-0, 13 KOs) and former world champion Victor “Vikingo” Terrazas (38-4-2, 21 KOs) hosted a media workout today at Azteca Boxing Club ahead of their 10-round main event fight on the Feb. 22 edition of Golden Boy Boxing on ESPN at Fantasy Springs Resort Casino in Indio, California. 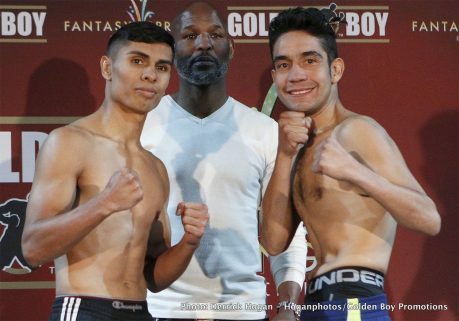 Also participating in the workout was Christian “Chimpa” Gonzalez (18-1, 15 KOs) who will kick off the ESPN3 coverage facing Laguna, Philippines’s Rey “Flash” Perez (21-9, 6 KOs). 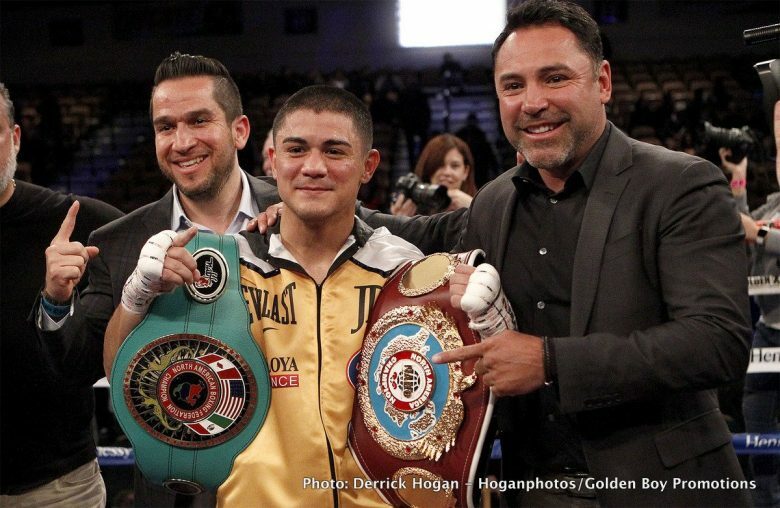 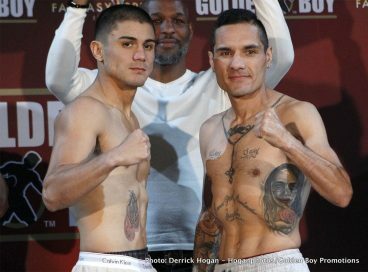 Manny “Chato” Robles III (14-0, 6 KOs), who is trained by his world-renowned father, Manny Robles, Jr., will participate in an eight-round featherweight affair facing Tucson, AZ’s Martin Cardona (24-10, 16 KOs). 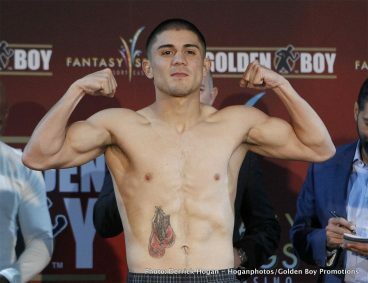 Power punching prospect Edgar “Kid Neza” Valerio (12-0, 7 KOs) of Ciudad Nezahualcoyotl by way of South Central, Los Angeles, Calif. will participate in an eight-round battle against Victor Proa (28-5-2, 21 KOs) of Monterrey, Mexico in the 126-pound division. 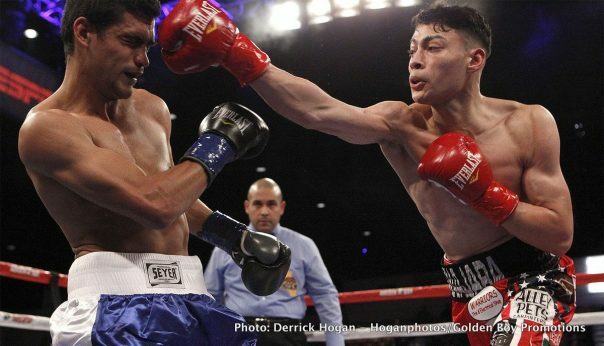 San Diego’s Genaro “El Conde” Gamez (6-0, 4 KOs) will participate in an eight-round lightweight fight, and Hector “El Finito” Tanajara, Jr. (11-0, 4 KOs) of San Antonio, Texas will open up the card in a scheduled eight-round super featherweight fight. 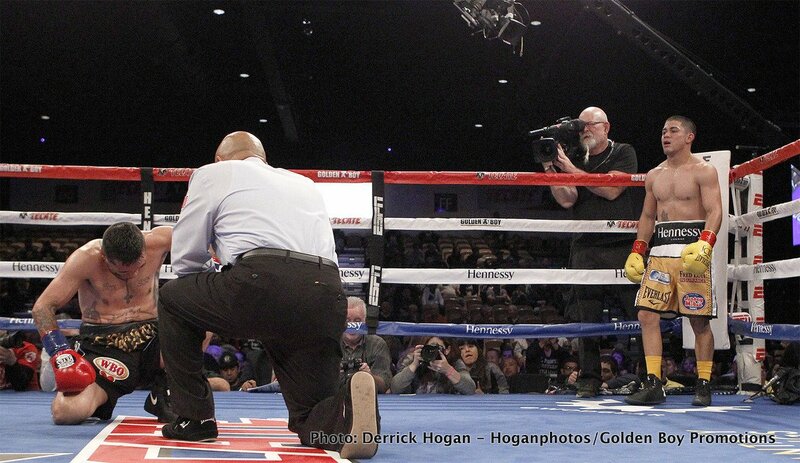 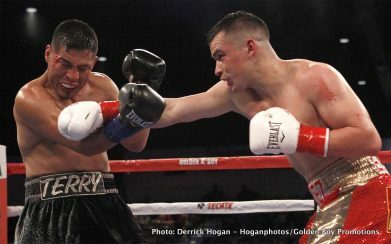 Diaz, Jr. vs. Terrazas is a 10-round fight for the NABF and NABO Featherweight Titles presented by Golden Boy Promotions. 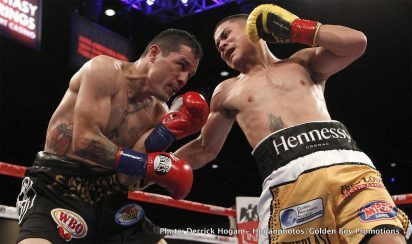 The event is sponsored by Tecate, “THE OFFICIAL BEER OF BOXING” and Hennessy, “Never Stop, Never Settle.” The fights will take place on Thursday, Feb. 22, 2018 at Fantasy Springs Resort Casino. 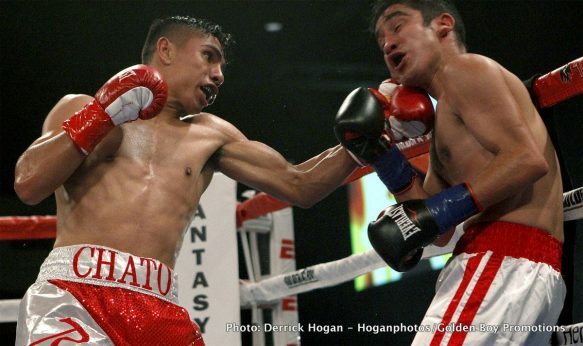 Doors to the Special Events Center open and the first televised bout begin at 5:00 p.m. PT. 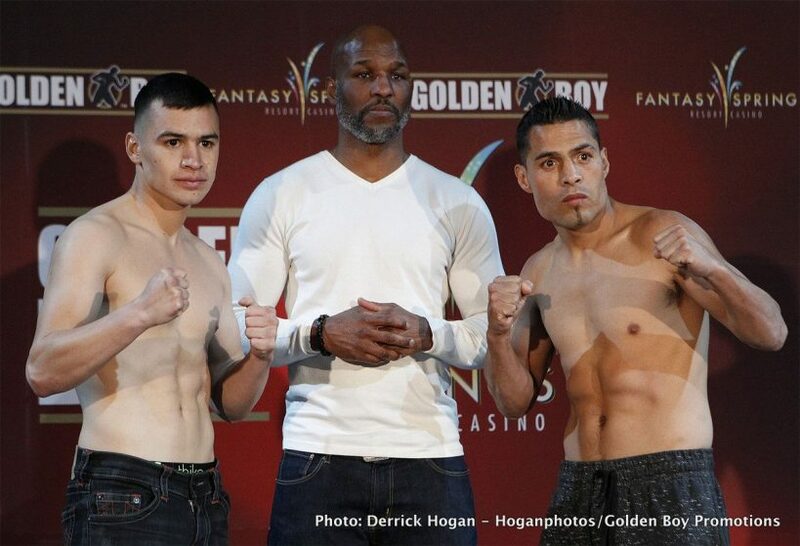 ESPN2 and ESPN Deportes will air the fights beginning at 11:30 p.m. ET/8:30 p.m. PT, and stream live on ESPN3 starting at 10:00 p.m. ET/7:00 p.m. PT.